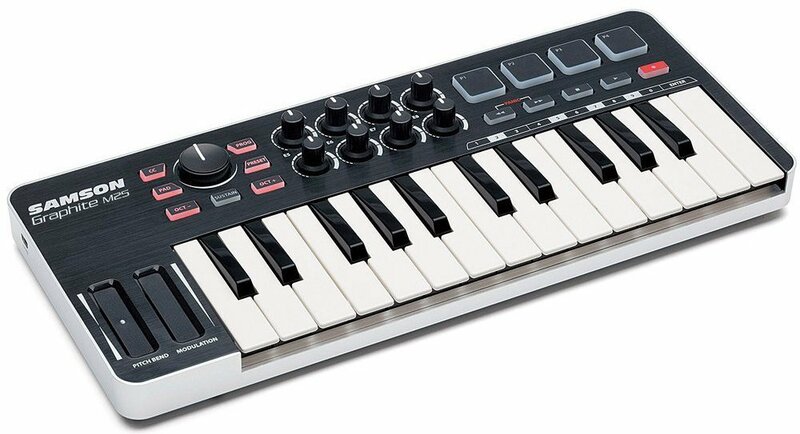 If you are a passionate music maker, a MIDI keyboard can be a fantastic solution via USB connectivity. It allows you to control different software on your workstation. The good news is that even with a limited budget, you can still find a good option for you who can even fit in your backpack. In reality, every controller is different and it is why you need to take a look at. The weight and size can limit the number of buttons you get on your controller. It is also true that you might need a solution which can fit your backpack but at the same time, you cannot sacrifice your much-needed controls for weight alone. If your workstation is already limited in space, you might need to consider the options you have when it comes to proper production. With different buttons and button sizes, you might even be tempted to look for solutions which are minimalistic. 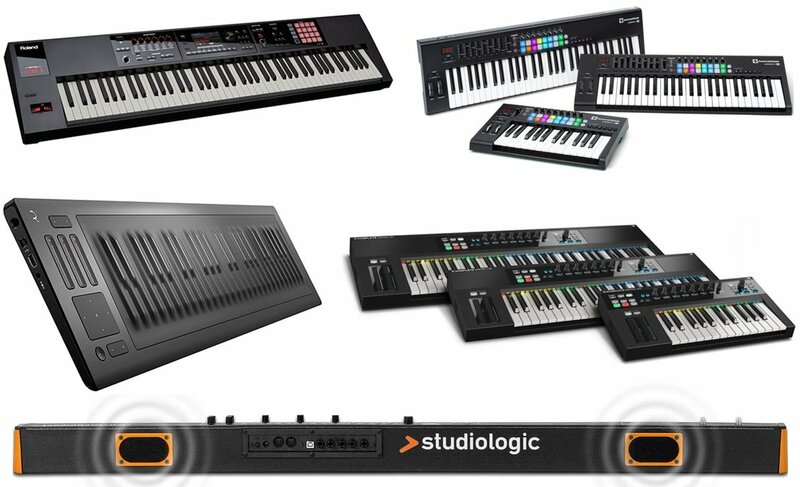 However, even affordable MIDI keyboards can come with various faders and more advanced functionalities which are not necessarily limited by space. Functionality such as programmable beats or drums can prove to be great for many music producers. The functionality is also given by the number of keys you can use. 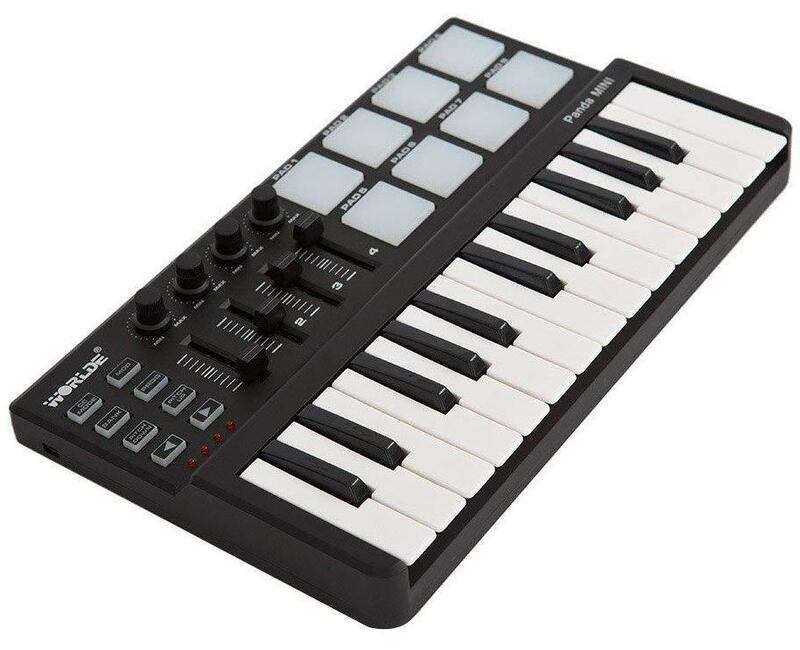 It is not unusual to see up to 25 buttons on a budget MIDI keyboard. Pitch wheels, modulation wheels, knobs or faders are highly recommended as well. The debate between pads and keys is also an important aspect to consider. Some users prefer the pads because they are similar to actual drums with their membranes. Others prefer keys and you will have to make your own decision when making a purchase. Rotary encoders are to be considered as well. Some of them are clickable and you need to consider the number of encoders you need if any at all within this budget. Why we like it: With 25 keys, on-board pitch-band, and modulation wheels, the controller is among the most complex in the affordable class. There are 25 synth-action keys on the controller. They work for most producers and they are compatible with various systems. You can make your own music with the keys on Mac computers or devices, PCs and of course, mobile devices. The full-size piano-style keys are made for durability. They are constructed against dust and with medium tension required, they feel comfortable as well. But the design of the controller also features pads which are aimed at the groove and beat creation. With 8 illuminated pads, the controller can be among the leading options when you want a membrane fit, which is closer to actual drums than just regular keys. Made to be controlled with a light touch, the pads offer an even velocity response. So you don’t necessarily have to hit them in the center every time. The good news is that they are still highly customizable. So you can assign a MIDI note number or cc messages to each pad. One of the most convenient features of the controller comes with the capacity to store your selected preferences such as with the pads. So your settings are stored with each power cycle. Even if you switch the keyboard off, you still get to save your settings. The keyboard also comes with 4 octave and transpose buttons. This facilitates function selection and you can use these buttons to quickly send MIDI program messages, to select the MIDI channel or to even select the impact of the 5 user profiles which the keyboard comes with. With full customization, 25 synth-action keys, 8 backlit pads, 4 octave, and transpose buttons, the keyboard offers a great experience on a budget. Why we like it: If you are a fan of drum pads, the MIDI keyboard is among the leading solutions for full customization on a budget. 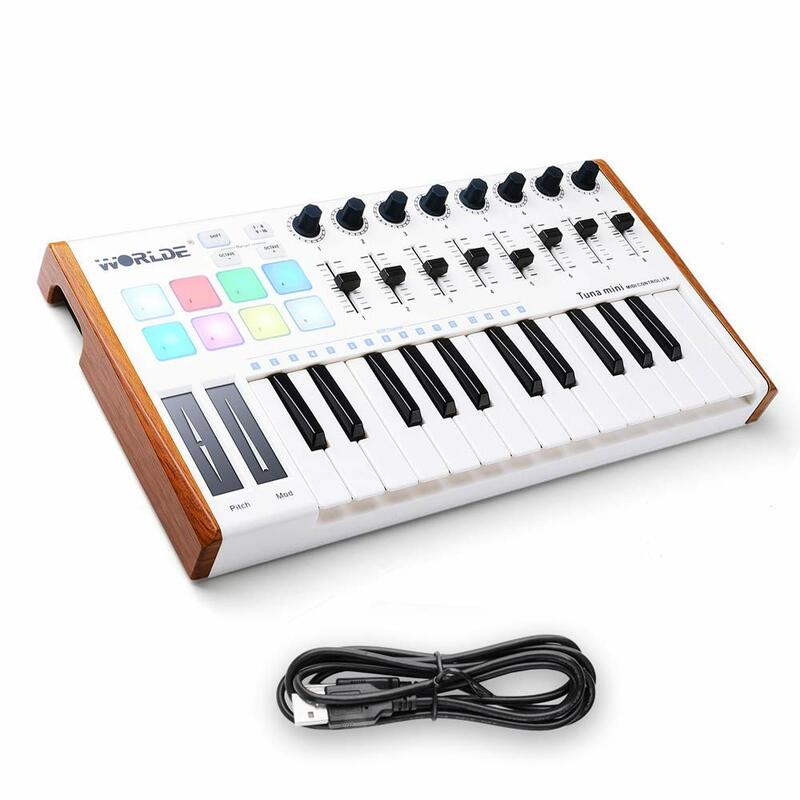 With 16 drum pads, the MIDI keyboard is among the most recommended designs for full customization. Even more, the drum pads come in different colors so you can begin to learn and customize them for your own preferences. They are velocity sensitive and the good news is that they do not need too much force for activation. The controller comes with 25 keys which are enough to get started with. However, if you want a fuller experience you can go up to its 49 or 61 keys options. Essentially, the keyboard is recommended to make your own beats and to play like an instrument. Of course, you can also control the effects of the instruments such as reverb or filters. Connected via USB, the controller is easy to use. Similarly to other controllers in its class, the connectivity is quick and it works with multiple systems and programs. At its core, it is made to be the best with Ableton Live. But you can use the controller, its keys, its faders or knobs to control instruments with other software as well. With velocity-sensitive keyboards, the controller is a true solution when it comes to the ultimate production freedom. 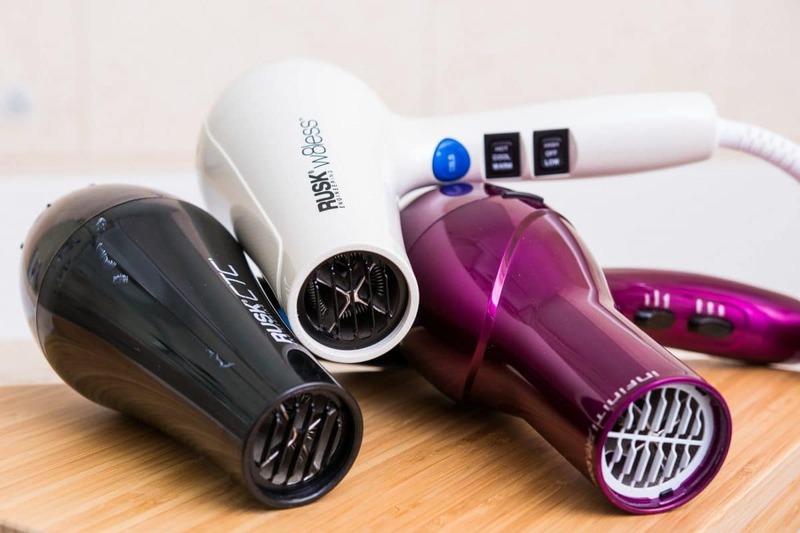 When it comes to durability, the compact controller is recommended for users of all ages. From children to adults, it can be used for years and it is also why it comes with a 2-year manufacturer’s warranty. If you are new to MIDI controllers, you will also be happy to know that the device doesn’t need a complex installation. You simply plug it via USB and you can start playing straight away. There are no drivers which you need to install on your computer either, which makes it a straightforward solution for any type of user. With a good degree of customization and a plug-and-play construction, the controller is recommended for most beginners. Why we like it: As one of the most popular MIDI controllers, the MPK mini is one of the fastest ways to get into music production. Available in black and white, the controller stands out from the crowd with its impressive aesthetics. It comes with good functionality but it also looks apart and this makes it an interesting option for many producers. With a design which easily fits a backpack, it can be an on-the-go solution which can be used both at home and in the studio. At the same time, it comes packed with features which allow it to stand out on a crowded market. For example, it comes with 25 synth-action mini keys. They are recommended for quick sounds and a music experience to remember. The mini keys need reduced pressure which makes them a top choice even if you are just starting out. 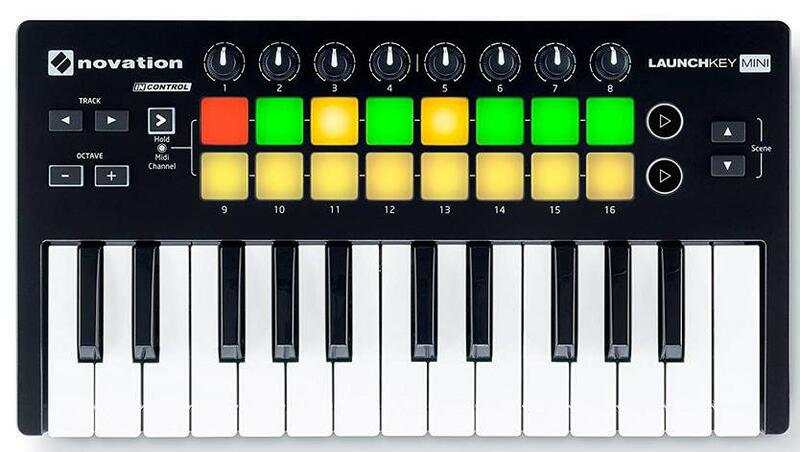 Together with the synth keys, you also get 8 rubber drum pads. For a device which is so small, having the 8 illuminated drum pads can only be seen as a major advantage. Next, to them, you also have your 8 assignable control knobs for added production freedom. So even if you are not at your first MIDI keyboard, it can still be a recommended solution. The controller is truly convenient for its size. With X-Y controller with a configurable thumbstick, it can be the solution even for the dedicated producers. Users can also benefit from its 10-octave range with up and down buttons. Repeat, full level, and tempo buttons can also be configured. The good news is that the controller also works well with multiple programs. You can use it with Hybrid 3 if you are a fan of digital manipulation. It also works with SoniVox Wobble if you are a fan of spectral morphing synthesis. With individual filtering and harmonic controls, it can be software to use along MPC Essentials. The VIP alternative is a top choice when you want access to various instruments. With integrated collections, it offers a true hardware experience in the digital space. Why we like it: As one of the simplest solutions in its class, the keyboard is highly recommended for new producers. The MIDI keyboard comes with a simplistic design which is recommended when you want a straightforward music creation experience. But even so, it still comes with 32 velocity sensitive keys. But maybe the biggest attraction of the keyboard comes from its reduced size. With a compact design, it can be a solution for most workstations and it can also work well when it comes to meeting your standards with transportation to and from the production studio. With a simple plug-and-play design, the keyboard is easy to install as well. Made with pitch and modulation keys, up and down an octave and transpose buttons, the keyboard is convenient for most users. The volume slider also works well in all situations with all sounds as it allows you to control and customize your own work. One area which could have seen improvements is the non-existent drum functionalities but with such a compact design, it is really beyond the scope of the keyboard. At a weight of just 0.72kg, it is also one of the lightest designs in its class and this makes it a highly attractive solution when it comes to the ultimate portability, even if you don’t get all the adjustability you would be used to in mid-range devices. With a compact design and 32 keys, the keyboard is one of the affordable solutions which can be recommended for traveling producers. Why we like it: With a compact design and included software, the keyboard offers all you need to get started with your music. As you would expect from a compact design, the keyboard comes with advantages and disadvantages. The advantages are mainly in the area of portability and simplicity. The disadvantages come with fewer controls. However, if you are new to music production, the keyboard can offer enough functions in a friendly design. It is why it comes with 32 keys which are velocity sensitive as you would expect in this class. The good news is that you can always upgrade if you need to use the systems with 49 or 61 keys. But even the smallest version is enough to play chords, bass-lines, and melodies. Virtual instruments can be at the core of some of the most impressive music and you don’t need to invest in a premium MIDI controller to get there yourself. However, the keyboard is recommended for a few numbers of software solutions. They include Pro Tools First which is a simplified version used in the production of today’s music. Ableton Live is another solution which is recommended with the keyboard. With various instruments and effects, it is one of the most popular solutions in production, even if you are working with a budget controller. For individual MIDI channels, you can use Xpand 2. The keyboard itself comes with a sound library of 2GB. With simplistic bass sounds too complex drums hits, you can find everything you need in this library, at least in the learning process as the keyboard is made for those with at the beginning of their production journey. Even in a compact design, the keyboard offers plenty of sounds and controls which can be integrated with popular production software. Why we like it: With a compact design, the keyboard has all the controls you need with added drum pads. It is not hard to see that the MIDI keyboard comes loaded with keys, pads, and knobs. With ultimate customization, it is among the recommended solutions when it comes to the ultimate production freedom. With 25 velocity keys, you can get started on your own masterpiece. Even more, the design includes 3 assignable control knobs which make it one of the most interesting options when it comes to fading. With pitch down, pitch up and octave, it offers various functions which beginners need to master. With plug-and-play USB connectivity, the keyboard is among the interesting solutions in the class of affordable designs. Even with a full set of controls, it comes with a weight of just 742 grams which makes it one of the lightest solutions in its category. You can take it to school, to the studio or wherever you play away from home. With 4 banks for different settings, it is well organized and convenient. But it only makes sense to purchase it if you are truly passionate about its 8 backlit pads which are as good as some of the more expensive alternatives. One of the few downsides of the keyboard comes with its otherwise limited innovation and lack of customizable color options. The keyboard is a mature choice if you don’t want to miss out on essential controls when starting out in production. Why we like it: Made with 32 low profile keys, the keyboard is ready for action with VIP platform access. The controller comes with 32 low profile keys. This allows the design to be a bit larger and to include other controls as well. 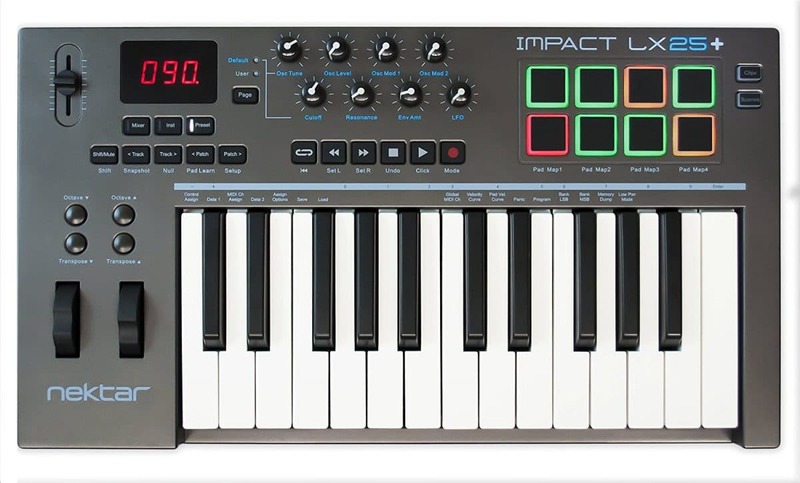 8 of them are the assignable knobs but the keyboard also comes with 8 velocity-sensitive trigger pads. With this degree of customization freedom, the keyboard can be among the most interesting options when it comes to the ultimate freedom. Since it is made to cater to the needs of producers of all levels, it is still based on the same plug-and-play simplicity expected in this class via USB. With dedicated pitch bend, octave and transpose buttons, you have immediate access to the entire note range. Even more, the convenient memory features might make it a solution with multiple projects. It works with ten memory locations for custom settings. Compatible with PC and Mac, the keyboard works well with the Pro Tools software. As a solution with 32 keys, the controller has all the functionality you need for music production at home or in the studio. Why we like it: With a large appeal in-home studio and mobile settings, the keyboard has 25 velocity-sensitive keys to start your own music production. The Samson Graphite M25 really looks apart. 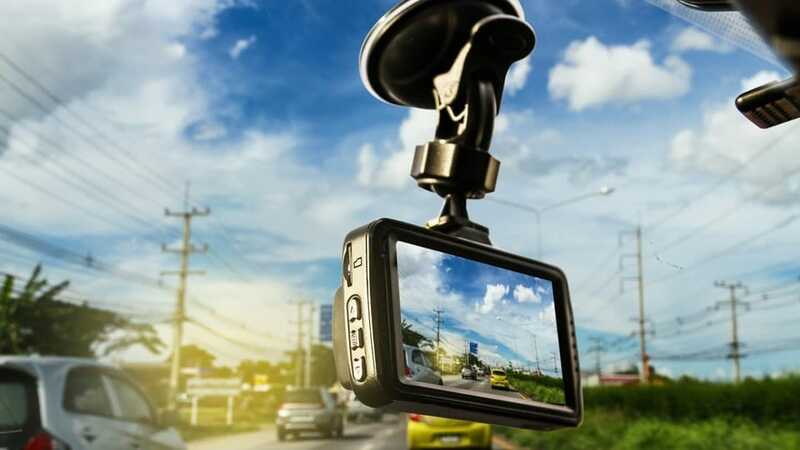 It is made with a compact design but it also represents a solution which is easy to work with and which works when connected to a computer or to a mobile device such as a tablet. With a programmable master encoder and eight MIDI knobs, the keyboard is recommended for all skill levels. Even more, it comes with 4 trigger pads so that you can have your own complex music experience. They work great for drum sounds. The design of the keyboard is also made for the ultimate freedom. It is why the controller has been made so that it can be charged via USB or via an iPad. If you are looking for a more custom experience, you can always download the official Graphite software from the company’s website. It gives you the ability to save your own settings and it represents one of the most interesting options when it comes to optimized MIDI workflow. The semi-weighted keyboard offers a responsive platform which is recommended for instrument control. Why we like it: For an affordable MIDI keyboard, Wordle’s capacity and design make it stand out from the crowd. It is clear that the controller is one of the innovative solutions in terms of design. Made with an elegant look, the keyboard comes with 2 accurate pressure sensors for a quick touch-pad experience. With its wooden lateral panels, the keyboard is inviting and it represents a solution which allows you to make the most of your instrument controls. For this purpose, it even comes with 8 illuminated pads for a convenient playing experience. Made with 25 keys with velocity response, the keyboard is a testament that even new brands can offer interesting budget solutions. Established in 2017, the company made a practical solution which even includes 8 faders. With a weight of just 500g even with the wooden panels, the controller is one of the lightest solutions in its class. It represents a top choice when it comes to travel designs. 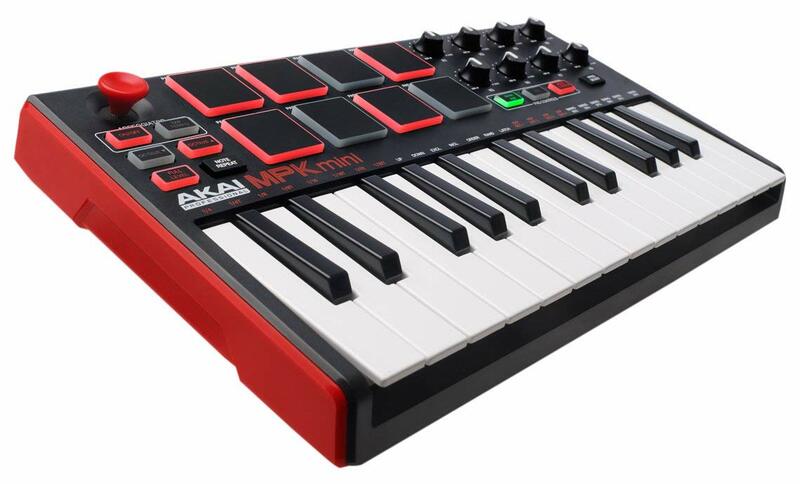 But most importantly, it comes with a sustain pedal Jack, 8 colorful pads, 8 control knobs, 8 faders, pitch and modulation touch bars for the ultimate experience. As long as you don’t mind the small keys, it can be a solution to begin making your own music. As one of the most distinct compact solutions, the MIDI keyboard is recommended for producers and players with improving skills. Why we like it: The keyboard synchronizes well with the V25 editor software such as in the case of the adjustable velocity for perfect key sensitivity. There are only 25 keys on the MIDI controller but this is enough for most situations. It comes with a simplistic design which aims to offer one of the best solutions when it comes to a straightforward playing experience. But this doesn’t mean that it actually sacrifices functionality. It is why the keyboard comes with 8 LED backlit drum trigger pads, 4 assignable buttons, pitch and mod wheels, and USB connectivity. It is up to date with the latest requirements in its class for a fraction of the price of premium controllers. The keyboard is compatible with some of the most popular software solutions in the class. It even comes with Ableton Live Lite 9 compatibility. Xpand 2 and AIR Music Tech are also great choices compatible with the device. You can mix, edit and save all of your creations with these solutions. At the end of the day, the keyboard is a great solution if you are starting out. But you can always upgrade with no learning curve to the 49-key or 61-key alternatives. The MIDI keyboard stands out when it comes to the ease of use which might be enough to make it a serious option for those playing at home. If you want to make an informed decision with your MIDI keyboard, you need to look at the features which are most important. In some cases, you might even need to consider smaller details such as extra buttons, keys or simply a more appealing design. Here is what you need to consider. The number of keys is crucial. While finding a budget 61-key design can be a challenge, you can certainly find plenty of great solutions in the 25-32 range. It is also why you need to consider the possible limitations you have with such solutions. In many cases, it is recommended to purchase the controller right for your skill level and both the 25-key and the 32-key designs represent an interesting solution. The number of keys can be strictly related to their size. It is why you will find different key sizes. While most people are fine with the key designs on the market, you may find that many of them are actually narrow for your fingers. It is why you need to consider the options you have when it comes to proper functionality, even with more complex songs. The portability of the MIDI keyboard is always an important topic. Simply loading the keyboards with buttons and keys is not the way to go for many brands as it puts extra weight on the device. It is why you will find plenty of popular solutions within the 1kg range. While there is no ideal weight, it is also important to consider that you might be bringing your keyboard to a studio, together with cables, headphones, tablets or other devices. All this weight can shortly become a problem and this is why you need to balance functionality with weight. But this doesn’t mean that you have to sacrifice looks. For example, the Worlde 25 Key USB Portable Tuna Mini is among the most interesting solutions when it comes to the ultimate freedom but with impressive aesthetics as well. Most designs are also made to fit a backpack for a reason. So make sure you have the strength to carry all your production gear when needed. Synth-action – these types of keys are seen on most MIDI keyboards, especially in the budget solutions. The keys are made from plastic and they use springs to return the key when pressed. Semi-weighted – with a spring and a lightweight, these keys are the in-between solution for many controllers, when compared to synth and weight alternatives. Fully-weighted – With fully weighted keys, you get the experience you would normally have with a piano. These keys are rare in affordable designs. The feel of the MIDI keyboards is very different. But since you will find most designs on the market are actually synth-action, it is better to compare other functionalities if you are undecided when it comes to your preferred product. Extra controls can go a long way. Once you finish the initial learning stages, you will be able to see the benefit extra controls bring. It is why you have the capacity to use the devices which come with drum pads, adjustment knobs, and programmable knobs. But not all solutions are the same. While some devices offer 4 drum pads, another offer 8. Some devices offer no drum pads at all. If you are a fan of customized experiences and if you want to make your production more than just a sporadic activity, added controls can improve your overall experience. At the same time, some controls are made for functionality purposes, such as those for power. But since in many cases the devices are USB-connected, this can be less of an issue. At the same time, you have the ability to choose the design which works for your style of playing. Most MIDI keyboards are compatible with popular operating systems. However, some devices do not have the needed drivers to run on operating systems such as Windows or Apple. Furthermore, you should also consider the compatibility with mobile devices. It is often necessary to purchase additional adapters if you plan to connect your controller to your mobile devices. Compatibility should not be an issue with modern products. All of them should come with USB data transfer which has already proven to be reliable. Even more, having the ability to connect the device to a tablet can come with added freedom when playing away from home. The functionality of the MIDI keyboard is influenced by its design. For example, the Ammoon Worlde Panda Mini has a design which is very familiar in the class. With keys and controllers which are positioned for maximum practicality, these designs are seen across various brands. While they are not innovative anymore, they are still enough for the compact 25-key solutions. Control buttons also tend to be in close proximity to the keys so that you can reach them with little effort. But at the same time, the design of the keyboard also needs to fit your own working space. Since you need to reduce mouse interaction as much as possible, keeping the MIDI keyboard in a location which allows you unrestricted access is often a matter of design. There are various types of product warranties on the market. The standard solution can come with coverage of 1-2 years. In some cases, you can also purchase an extended warranty from the manufacturer. It is also why you have the ability to think of your production on a wider scale. If you plant to invest and make music production more than a hobby, it is often recommended to purchase a device which is made for durability, at least until you become fully accustomed with the various functions of a keyboard. Bank, prog, pitch down and pitch up might take some time to master. It is why the proper warranty is the policy which covers your own needs. All new producers are looking to work with Pro Tools. The Lite version is basically a stripped version of the solution which even professional artists use in music production. It represents a great start to your music making projects and it is also one of the programs which are highly compatible with most of the keyboards in this class. Ableton Live is another popular choice. It is sometimes included in the pack and it offers a selection of instruments and effects. 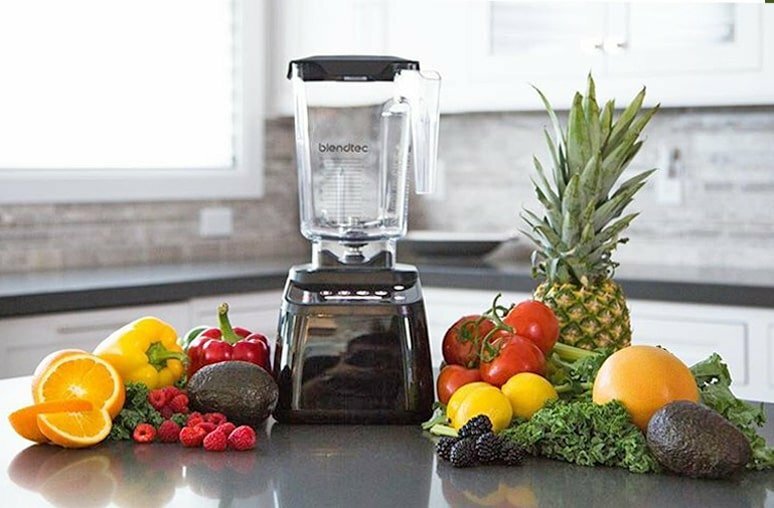 With all the essential workflow taking care if, it can be among the solutions which you use in combination with other programs for the ultimate results. Eleven Lite offers a selection of interesting vintage amps and cabs for a modern approach to some of the most recognized sounds. Xpand 2 is recommended for its four active slots per patch. Each part is recommended for its own MIDI channel and it represents a great tool for creating individual parts. User profiles are important, especially when it comes to saving your own work and settings. You should always look for the keyboard which actually remembers your preferences after you turn it off. At the same time, the memory is of the device is closely tied to the number of options you have. Even an affordable MIDI keyboard can come with 2GB of sounds which means that you should be able to create your own profile with everything you need to get started. If you are new to MIDI keyboards, there are a few ways to get familiar with them. Apart from taking a class, you can learn to play on your own. Online videos and tutorials are a good place to consider. But many manufacturers now offer complex training manuals which allow you to play the simplest songs. Once you are familiar with the basics, you can also adhere to online communities such as the VIP platform to share your experience with other players as well. In most cases, it is indicated to learn the basics on a simplistic keyboard, even if it is spring-loaded. This is true to a certain degree as, at least at the beginning, you do not need complex solutions. Another way to ensure you have a short learning curve is with the design of the drum pads. With various illumination colors, you can quickly access your own pre-defined control without having to worry about each individual drum pad. 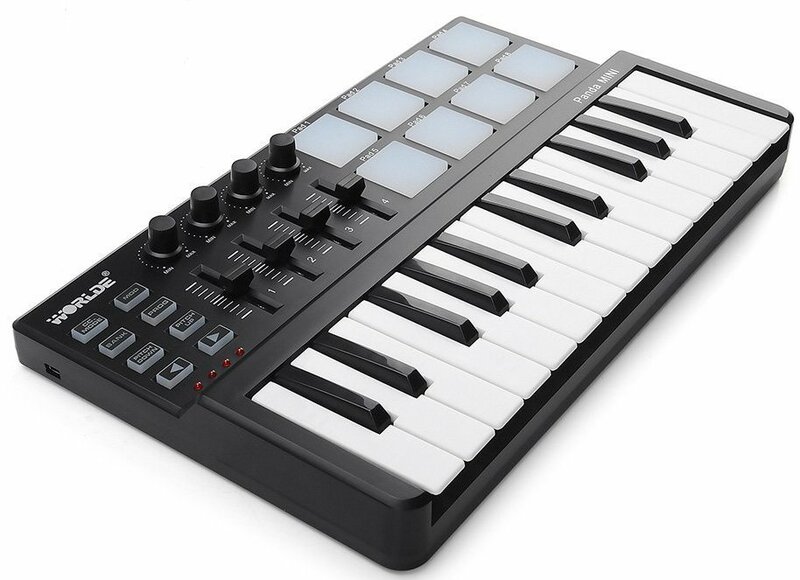 This option is available with many entry-level MIDI keyboards as well. Finding the best cheap MIDI keyboard is not as easy if you are a beginner. You might even feel overwhelmed with all the options you have and you would also need to learn the basic characteristics of a keyboard before making the purchase. However, there are many user-friendly options to consider. Playing various digital sounds is not easy but you can take advantage of the simplicity these keyboards come with. Proper software choices are recommended as well. Nothing can influence your projects negatively faster than using the wrong software which can be too complicated for your needs. The best MIDI keyboards are also made to be portable. It is always a good idea to get in contact with studios or people who are already in music production. This is why you should look for a keyboard which comes with all the keys you need, all the controls you want and the weight which allows you to quickly place it in a backpack. At the same time, it is also unlikely you will remain with just a keyboard if you are serious about your music and having the right workstation space becomes a matter of urgency. Whichever options you choose, there is plenty to learn with each keyboard.